A personal and practical guide to help pastors find Jesus as their mentor. For decades, Paul has been the model for today's pastors. But Pastor John Frye says we must instead look to Jesus as our model. "While we may lift Christ up as Savior, as we bow down to him as Lord, as we marvel at his offices of Prophet, Priest, and King, as we walk with him as Friend, we seem to ignore him as the supreme Senior Pastor." 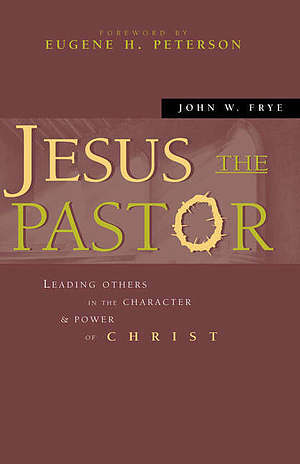 Jesus the Pastor by John W. Frye was published by Zondervan in January 2002 and is our 26175th best seller. The ISBN for Jesus the Pastor is 9780310242697. Be the first to review Jesus the Pastor! Got a question? No problem! Just click here to ask us about Jesus the Pastor.